Home Marketing Does Yellow Pages Advertising Still Work? 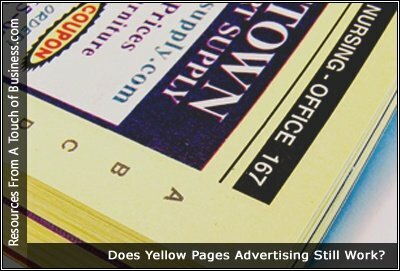 Should Small Businesses Still Book Yellow Page Ads? Companies that have traditionally advertised in the phonebook and being asked to use the Yellow Pages 360 platform to continue using their ad spend with Yellow Pages. Yellow Pages has successfully transitioned from a telephone directory service to a major online player. What about you? The Yellow Pages once held a dominant place in local marketing. We review what’s changed, and if there still can be value found in the book.